A complete legislative reform of Insolvency law in Gibraltar has been brought about by regime in the form of the Insolvency Act 2011 (IA) and comprehensive subsidiary and associated legislation took effect on 1 November 2014. The new legislation makes provision for liquidation, as well as for various rescue and recovery regimes for the first time under Gibraltar law, including creditor voluntary arrangements, receivership and administrative receivership. The new Act also deals with individual bankruptcy which is outside the scope of this article. 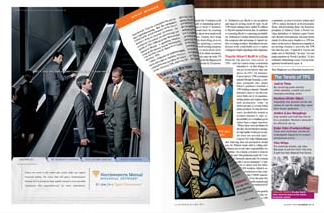 Specific rescue and recovery for creditors. The new insolvency regimes of the IA now means that companies in difficulty are given opportunities to turn around their fortunes whilst ensuring that creditors are able to ensure a maximum return on debts owed to them. The IA provides a balanced approach between these two positions. The directors of a company (or a liquidator/administrator), if they believe that the company is or is likely to become insolvent, may propose a Company Voluntary Arrangement (CVA) to the creditors under Part 2 of the IA which may cancel all, or any part of, a liability of the company and/or may vary the rights of the creditors or the terms of a debt. The process is supervised by an Interim Supervisor who must be an eligible insolvency practitioner, who must prepare a report on the proposal for the creditors and call a creditors’ meeting at which the creditors can either approve, amend or reject the proposal. Approval by 75% (in value) of the creditors present and voting on the CVA, binds the company, each member and each creditor of the company as if he was a party to the arrangement whether that creditor attended the creditors’ meeting or not. Following approval and subject to his agreement, the Interim Supervisor is appointed as Supervisor with such powers and functions as provided for in the proposal. Upon an application to Court, where he has failed to comply with his duties he may be replaced. The Court has the discretion, following an application, to give any direction to the Supervisor and can also confirm, reverse or modify any decision made by Supervisor. The Administration provisions are in Part 3 of the IA. They can be described as company friendly in that they give the company a window of opportunity to try to rescue its ailing business during a period when the company structure is effectively preserved and creditors are prevented from taking any legal steps against the company. Generally, an Administrator is appointed by an Administrative Order made by the Court. The Court must be satisfied that the company is, or is likely to become, insolvent and that the appointment will assist in the rescue of the company or will achieve a better result for the creditors as a whole than would be likely if the company were to enter into liquidation. Upon appointment, the Administrator takes custody and control of all the company’s assets and he will manage the business affairs of the company in furtherance of the objectives. Unlike liquidation, the powers of the directors continue so long as they do not conflict with the Administrator’s powers. The Administrator has to formulate proposals for consideration by the creditors who may approve, amend or reject the proposal at a creditors’ meeting. If approved the Administrator manages the company’s business, assets and affairs in accordance with the proposals. He shall perform his functions with the primary objective of rescuing the company, if possible. He is granted a wide range of powers to ensure the objectives are satisfied. The period from the filing of the application for an Administration Order up to the dismissal of the application or the discharge of the Administrative Order is ‘the Moratorium Period’. During that period the company is protected from any further creditors’ action. Except with the Court’s leave or the Administrator’s consent, cannot take any step to, inter alia, enforce any security interest over the company’s assets or begin any legal process against the company. An Administration Order cannot be granted by the Court where an Administrative Receiver has been appointed for the company by the holder of a debenture or other instrument secured by way of a floating charge. The concept of an Administrative Receiver is dealt with below but it is interesting to note that this might lead to an increase in the use of floating charges in financing transactions concerning Gibraltar companies. The IA provides for the appointment of a Receiver either court order or by powers granted under a debenture or other instrument. A Receiver is usually appointed in relation to a particular asset of the company and will enjoy those powers expressly or impliedly conferred on him by the appointing instrument. The Act also provides that a Receiver may demand and recover, and issue receipt for, any income of the asset in respect of which he was appointed. The Receiver may also manage, insure, repair and maintain the asset. Primarily, he must exercise his powers in good faith and for proper purpose and must at all times act in the best interests of the person whose interests he was appointed. Subject to his primary responsibility the Receiver must also have reasonable regard to the interests of the creditors and the company. As referred to above, the IA also introduces the concept of an ‘Administrative Receiver’. He is a receiver of the whole or substantially the whole of the business undertaking and assets of a company, appointed by a floating charge holder, or in some circumstances by the court. The Administrative Receiver’s powers go beyond those of a Receiver and include powers to execute all documents necessary or incidental to the exercise of his powers in the name of the company and may also use the company seal. An application for appointment of a liquidator (replacing the previous “petition to wind up a company”), can be made by a creditor, the company, its directors, its shareholders, the Minister responsible for financial services or the Financial Services Commission. The Court will appoint a liquidator inter alia, where a company is insolvent, with provision also being made for appointment of liquidators on public interest or other grounds. A liquidator’s principal duties are to collect and realise the assets of a company and distribute the proceeds to creditors. Upon appointment, the liquidator takes custody and control of the company’s assets, and the directors cease to have any powers; this marks a complete end to the company’s business. Liquidation may be commenced by the court or by shareholders’ resolution. The Court will also have jurisdiction, under Part 7, to appoint a liquidator over an unregistered company, which includes a foreign company, provided it has a connection with Gibraltar, namely if it has, or had, assets in Gibraltar, or if it carried on business in Gibraltar or if there is a reasonable prospect that the appointment would benefit creditors. A company will be put into liquidation when a liquidator is appointed. The onset of insolvency, which is relevant for the purposes of voidable transactions (see below), is the date when the application for the appointment of the liquidator is filed, or, where the company is in liquidation following appointment of a liquidator by its members, the date of the appointment of the liquidator. A company will be presumed to be insolvent if it fails to comply with the requirements of a statutory demand that has not been set aside, or execution on a judgment in favour of a creditor of the company is returned unsatisfied. A company is insolvent if it is unable to pay its debts as they fall due, or the value of its liabilities exceeds its assets. The new legislation introduces several types of voidable transactions in Part 9 of the IA, with a new suspect or ‘vulnerability period’. Under the ………… Companies Act, the relevant time frame in determining whether a transaction by an insolvent debtor could be annulled was 3 months prior to commencement of winding up, and in the case of floating charges, six months before commencement (with the commencement being deemed to be the date on which a petition was filed to wind up the company). Under the new legislation, the relevant periods are longer. It is important to note that they will be calculated from ‘the onset of insolvency’ which is the date on which an application for appointment of a liquidator is made. The vulnerability period referred to in sections 259, 250 and 251, in relation to unfair preferences, undervalue transactions (s.250) and voidable floating (s.251) charges is 6 months prior to the onset of insolvency, or where the transaction is with a connected person, 2 years prior to the onset of insolvency. A “connected person” is defined in the Insolvency Rules 2014. A person is connected with an individual if the person is (a) the person’s individuals spouse or civil partner (b) a relative of the individual, or of the individual’s spouse or civil partner; or (c) the spouse or civil partner of a relative of the individual or of the individual’s spouse or civil partner. A person is connected with a company if the person if (a) is a director of the company; (b) is a parent or subsidiary of the company; or (c) has control of the company. The definition also covers people in partnership with one another and also employees. In relation to extortionate credit transactions (section 252) the vulnerability period commences 5 years prior to the onset of insolvency and ends on the appointment of the administrator, or if the company is in liquidation, the liquidator. This is a transaction, the effect of which places a creditor in a better position than they would have been in the event of the company going into liquidation. The preference must have occurred within the ‘vulnerability period’ and the company must have been insolvent at the time or become so as a result of the transaction. Transactions in ordinary course of business are not unfair preferences. If the creditor is connected with the company, there is a rebuttable presumption that the company was insolvent at the time or became so as a result of the preference, and that it did not take place in ordinary course of business. This occurs where a company makes a gift to a person or otherwise enters into a transaction on terms that provide no consideration for the company, or significantly less than the value, in money or money’s worth, than the consideration provided by the company. Such a transaction can be set aside if it was entered into within ‘the vulnerability period’ and if the company is insolvent or becomes insolvent as a result of the transaction. If the transaction is with a connected person, there is presumption (which is rebuttable) of insolvency. A floating charge created by a company within the vulnerability period is voidable if at the time of creation, the company was insolvent, or became so as a result. The charge would not be voidable to the extent that it secures money or assets advanced at the same time as, or after, the creation of the charge. If a floating charge is created in favour of a connected person, there will be a presumption (which can be rebutted) that the company was insolvent at the time or that it became so as a result of the charge. A transaction entered into within the vulnerability period to provide credit to the company is voidable if, taking into account the risk accepted by the person providing the credit, the terms of the transaction require grossly exorbitant payments to be made, or the transaction grossly contravenes ordinary principles of fair trading. The Court has power to make an order setting aside voidable transactions and make such orders it considers appropriate, including restoring the position to what it would have been if the company had not entered into that transaction, or in the case of extortionate transactions, to vary the terms of the transactions or to take accounts. Part 10 of the Insolvency Act deals with malpractice and directors liabilities. Directors of an insolvent company may be personally liable and ordered to repay monies or compensation where they are found to be guilty of misfeasance or breach of fiduciary duty, or where they misapply monies. A liquidator powers to pursue directors for malpractice, including for fraudulent trading where the company’s business has been carried on with intent to defraud creditors or any other person, or for any fraudulent purpose. A director knowingly party to the fraudulent trading may be liable to contribute to the assets of the company. A liquidator may also pursue a director, or former director for insolvent trading if that person continued to trade when he knew or ought to have concluded that there was no reasonable prospect that the company would avoid going into insolvent liquidation. The director or former director would have a defence if he or she took every step reasonably open to him to minimising the potential loss to the company’s creditors. The Court has power to order that a director found guilty of insolvent trading contribute to the assets of the company. Any officer of a company will be deemed to have committed an offence if at any time during their appointment, or in the 12 months preceding the liquidation they transfer or charge any of the company’s assets, or if they conceal or remove any of the company’s assets. A director may also be disqualified from acting as a director of a company or from being directly or indirectly involved in the management of a company (including as a voluntary liquidator, receiver or insolvency practitioner). A disqualification order may be made by the court if a director has been convicted of any offence in relation to an insolvent company, is guilty of fraudulent or insolvent trading under sections 259 and 260, is guilty of any fraud or misfeasance or where the Court considers that the person’s conduct as director, or shadow director, makes him unfit to be concerned in the promotion, formation or management of companies. (d) to discharge any other functions assigned to it under this Act or the Rules. A creditors’ committee may call a meeting of creditors and require the liquidator (or administrator etc.) to provide the committee with such reports and information as the committee reasonably requires, as well as to require him to attend before the committee. The committee will also have powers relating to the liquidator’s remuneration, and to controlling the same. Part 18 of the Act deals with the appointment of the Official Receiver and sets out the functions of the same, with Part 19 setting out the rules governing insolvency practitioners, with licences required to act as a liquidator, administrator or other insolvency practitioner. Such licences are available only from the Minister for Financial Services, with the Financial Services Commission monitoring the same. David, a Partner at Hassans since 1987, and Queen’s Counsel since 2002, is experienced in a wide range of litigation, including commercial, insolvency, fraud, banking, compliance and regulatory work, and white-collar crime. In insolvency work , David has acted for creditors, secured and general, liquidators, troubled companies, and custodians in investment liquidations. He represents a number of creditors in a long-running bankrupty/ liquidation. He is a member of the International Insolvency Institute and was involved in the drafting of Gibraltar’s Insolvency Act 2011. 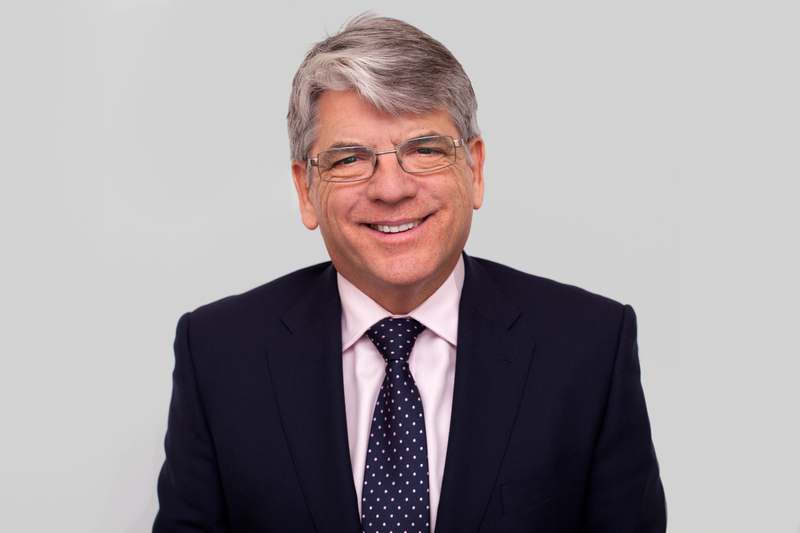 David has served as Chairman of the Industrial Tribunal, and was Chairman of the Gibraltar Bar Council 2009 -2012 and currently serves as Vice-Chairman. 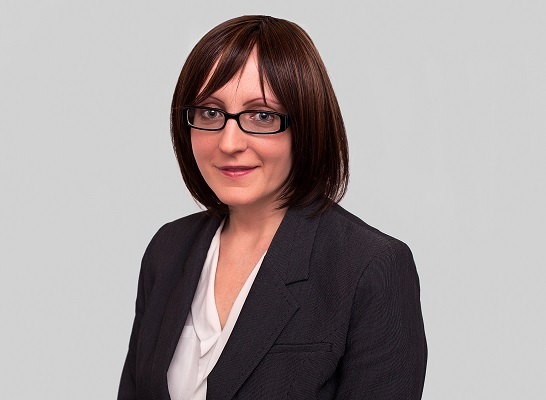 Michele undertakes a wide range of commercial litigation and has experience in high-value, complex cases involving multi-jurisdictional proceedings. She has acted for unsecured petitioning creditors in both contested and uncontested liquidations, as well as for secured creditors of insolvent companies. Michele also regularly advises on contentious and non-contentious employment matters, including collective redundancy, TUPE and HR policy and procedure. Michele currently serves as a Chairperson of the Industrial Tribunal. Michele qualified as a solicitor in England and Wales in September 2007 and was called to the Gibraltar Bar in February 2008. Michele is a member of the Law Society of England & Wales.